This week Mike and Kelly discuss Alice Cooper’s 12th album, “Flush the Fashion”….for longer than the album’s actual run time. A likable album, but Alice’s foray into New Wave was not 100% successful in their minds. Audio is a little rough on this one gang. There were a lot of Google Hangout issues and Mike ended up doing the show from his phone. Sorry about that. Way to phone it in Mike. “Flush the Fashion” ended up at #7 on both Mike’s and Kelly’s lists. 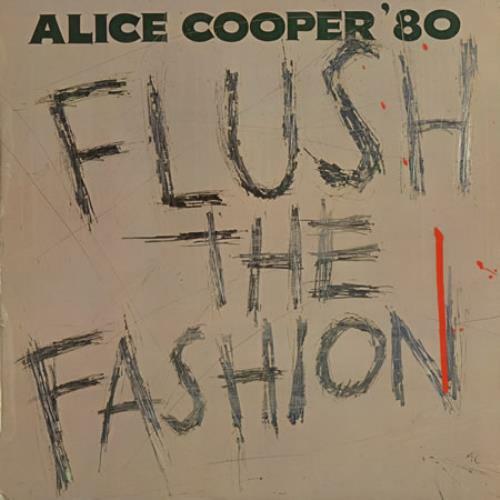 Tagged Alice, Alice Cooper, flush the fashion. Bookmark the permalink. Does anyone ever comment?? If I volunteer to be the Raise Your Fist…stunt double, is that incriminating? Does 20+ years in radio hep to qualify?? We should talk Terry… would love to have you as part of the Raise Your Fist show. I’ll e-mail you. Sadly, we don’t get many comments. I look forward to discussing the possibilities!